P.K. 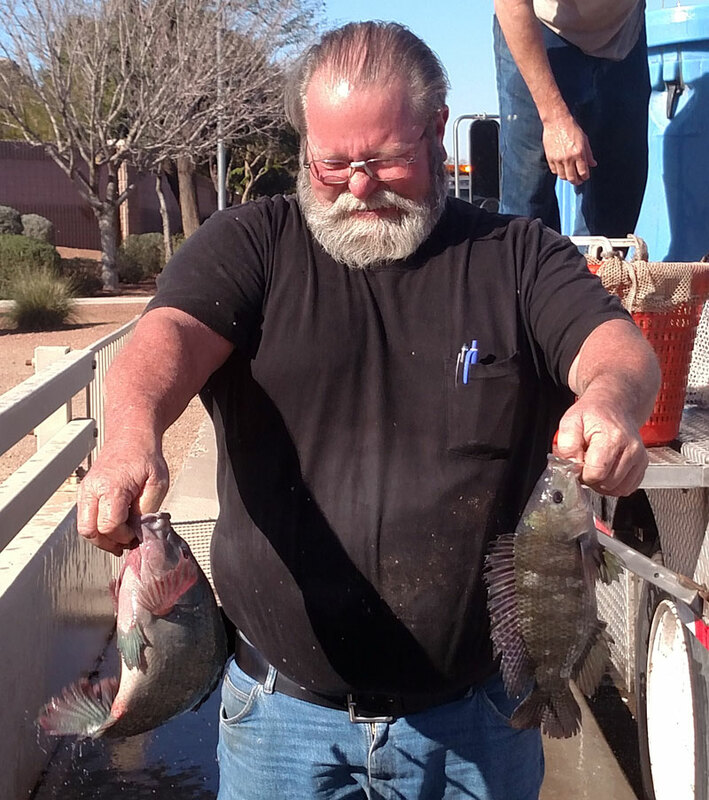 Gills is a division of Arizona-based Fresh Catch Fish, whose owner has a 30-year track record of sustainable aquatic management. We supply live fish and create water management programs using sustainable resources. Our recommendations have helped numerous irrigation districts; lake, pond, and wetland owners naturally control water quality while saving money over chemical treatment programs. 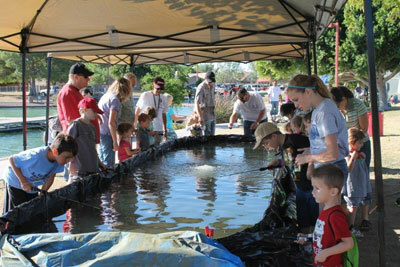 We also assist lake owners and urban parks build and maintain healthy sport fisheries. 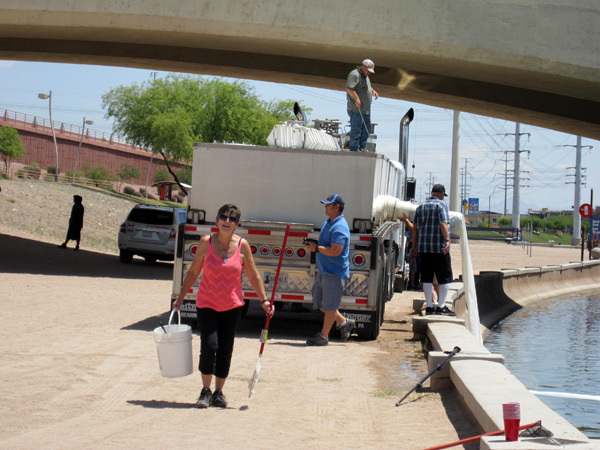 Fish stocking and water quality management are complex undertakings involving a large number of variables. Our purpose in presenting this information is to promote the use of live fish as a tool in managing our most important resource; fresh water. We hope you enjoy learning about our finned friends and what can be accomplished using the natural food chain. We encourage you to contact us for fish or expertise. Some species can be ordered and shipped direct via overnight courier service. Goldfish and mosquito fish don’t mind flying with Fed Ex or UPS, click here to obtain a quote. 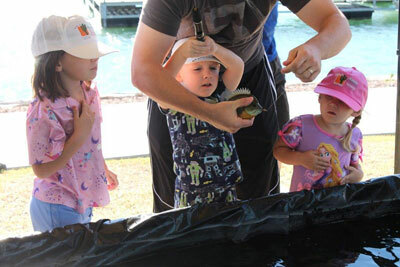 If you are seeking advice on using fish to maintain water quality, please click here to contact us and fill in our questionnaire. Our response will be more useful if we have some basic facts; there is no obligation and our fish are guaranteed. 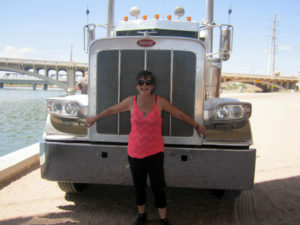 The Tempe Town Lake delivery requires a sizeable truck! We've recently had a writeup in authoritative industry publication Irrigation Leader featuring our cost-effective options for improving irrigation district results - read it here. "PK Gills is the only company I use to provide fish for biological control or sport fishing programs ... "
"Pat has earned my absolute admiration for her knowledge of the fish industry ... "
"The use of fish greatly reduces or eliminates the need for hazardous, expensive and labor intensive chemical treatments in lake properties."